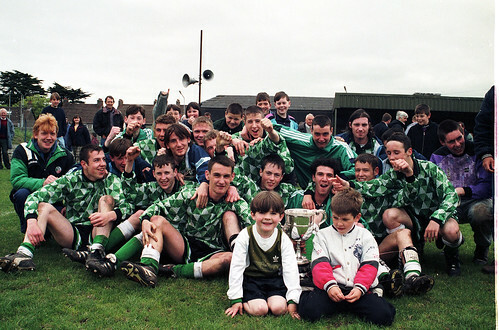 Ballincollig Mur Cup winners #2 Jun 95 R251, a photo by CorkBilly on Flickr. Ballincollig celebrate Murphy Youth Cup win in Turner's Cross June 95. For more pics from this season, click on image. The talented squad included: Mick Lordan (keeper), Jason "Benny"
O'Gorman, Terry Yelverton, John Hickey, and John Walsh.